For sufferers of Achilles Tendonitis, getting the right support is crucial. This was not always been a happy coupling, when it came to finding the right summer footwear. However, 2018 dawned, and now things are better! Now, no longer do you have to look as if you are wearing your granny’s old clogs, or worse still, some sort of surgical support, just because you suffer from Achilles tendonitis. Check out our guide to the best Women’s Sandals for Achilles Tendonitis! 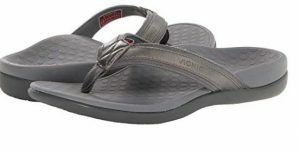 Feet that are hard to please like Vionic sandals. This is something which is true across the board, for this make. But it is the Women’s Tide II which stands out in particular. The footbed is designed by podiatrists and has an orthotic footbed. Together with a deep heel cup and top-notch arch support, this adds up to some mighty good news for your Achilles tendonitis! In fact, it’s not just Achilles tendonitis these sandals are kind to. It’s plantar fasciitis too, as well as many other podiatric problems. With an EVA midsole and leather and nylon webbing, these hold your foot secure, but never at any point rub or chafe. All this and they are (whisper it) a flip-flop. 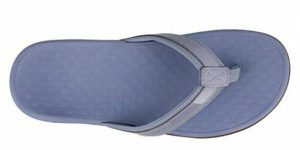 If it seems inconceivable that a flip-flop can a) offer so much comfort and support for such a serious foot condition and b) also be stylish, then we suggest you try them on for yourself! The toe post will not rub you up the wrong way and the only thing that is worth bearing in mind about this sandal, is that you may wish to size down if you are between sizes. Happy feet love Birkenstocks. And unhappy feet love them even more! Better still, Birkenstocks love your feet right back. 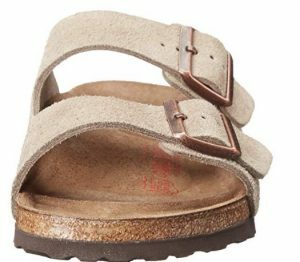 It was hard to narrow down one particular shade of the highly popular Birkenstock Arizona sandal. They come in various materials, colors and genders! One thing they all have in common, is that they will keep your feet happy and your Achilles tendonitis in check. And there is such choice! Whereas none of these sandals come in colors which could exactly be described as loud, they remain popular. Choose between subtle shades of tobacco, brown, taupe, blue and black. For a bit of added pizzazz, why not try some of the metallic shades – silver and copper? No, you are never going to set the room alight wearing Birkenstocks, but at least it isn’t going to feel as if you set your feet alight when you’ve got ‘em on, either! Put your feet into in the soft contoured footbed and you can practically hear your soles purring with delight. With the trademark cork footbed, these are lined with a soft leather, to kiss the soles of your feet to sleep with. Since the Arizona style comes in a variety of materials and also for both women and men (also with a unisex option) we think you can’t go wrong with any of the styles on sale in this range. All Birkenstocks have the seal of approval from the American Podiatric Medical Association. But the Arizona has won particular acclaim amongst the sufferers of Achilles tendonitis. We would be lying if we said there was no break-in period for these shoes. Precisely because these have such excellent arch support, they are going to take a bit of getting used to. But when you have got used to them they will be your new best friend forever! 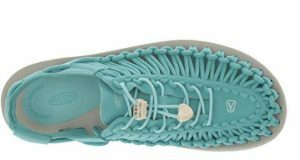 Like the others in our roundup, the Keen Uneek Sandal for women encompasses more than one variety of design. Some have heels in them, others don’t. 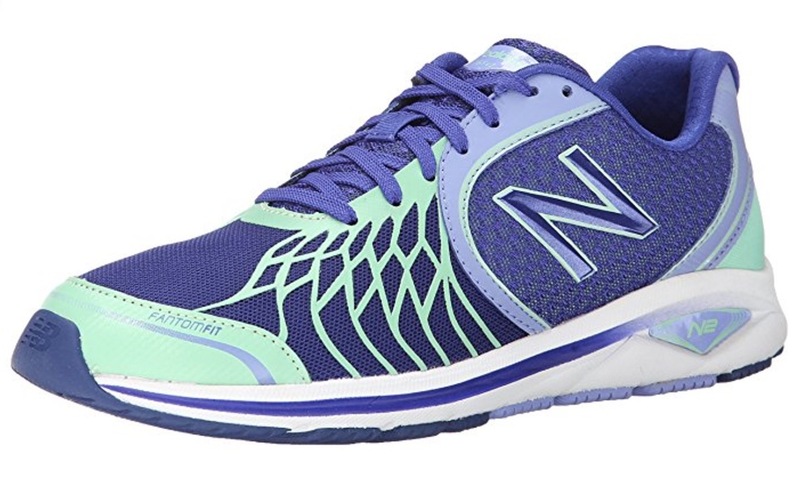 The specs on our review refer to the non-heeled Women’s Keen Uneek-W. 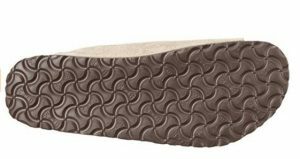 There may be the odd subtle difference here and there, but the Keen Uneek Sandal for women – or indeed for men- are all good when it comes to looking after your Achilles tendonitis. The thing about the Uneek, is that it is eminently adjustable all over. Instead of only having a strap or two, to tighten to comfort, the Uneek has a free moving cord. This allows the wearer a perfect fit each time. Also, with the stretch drawcord you will be able to slip these on and off, like they were your favorite pair of slippers. But they will be one hell of a lot more supportive than that! The outsole has razor siping, for advanced traction. The footbed is anatomically designed, for comfort and will remember the shape of your foot quickly. When it gets wet, the Uneek dries up quickly and should be easy to wear in a variety of situations. Available in about three million colors, the names of some of which might raise a chuckle (Eiffel Tower, Summer Fig and Gargoyle – really?) these at the least, do not lack a choice! 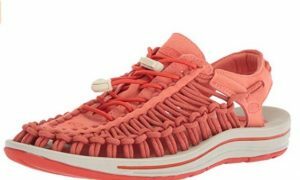 In all honesty, we here at Best Walking Shoe Reviews are hard pressed to find a winner among the trio of women’s sandals in our roundup. We think it all boils down to personal choice, and the type of sandal you are looking for. 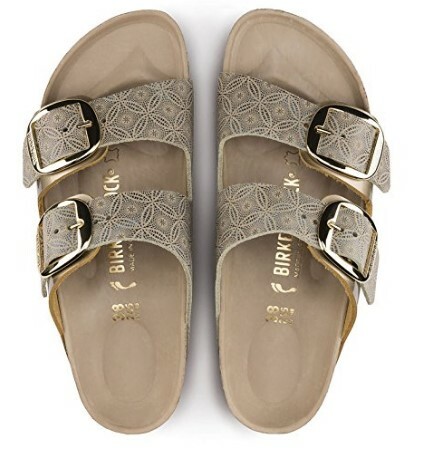 But whether it is a flip flop; (Vionic); a trad slip-on double strap (Birkenstock); or the strappy, easily adjustable style of the Uneek by Keen; you can find something that supports your Achilles tendonitis in style and comfort!